I am a straight couch potato and I am passionate about it, and with good reason. Technology has severely let me down. All my activity trackers are ending up in the kitchen drawer within six months. No one ever told me digital health means I still would have to get up and put in the effort. Besides that, when I walk for a few hours, my feet are signalling to my brain that I need to head back to the couch. And of course I am listening very carefully to my body. Putting aside all the drama, I recently received the Tracker FG Off road shoes, and it is safe to say VivoBarefoot shoe technology changed everything. I was worried that it really would take new technologies like the wearable tech Pavlok bracelet. It’s a wristband designed to give me 340 volt shock that tells me to get up if I chilled for longer than 51 minutes watching Netflix. It has been known for a while, running barefoot is the best thing for our feet and especially the knees. As a Harvard study by biologist Daniel Lieberman has been published years ago. But the greatest thing I experienced wearing these hiking boots, was that I literally could walk all day without feeling that familiar fatigue that I was so used to. Not that it is a real problem of course, (For those who are having trouble reading sarcasm) but the difference most definitely creates a higher level of convenience. And this is exactly one of the roles I would like technology to play in my life. 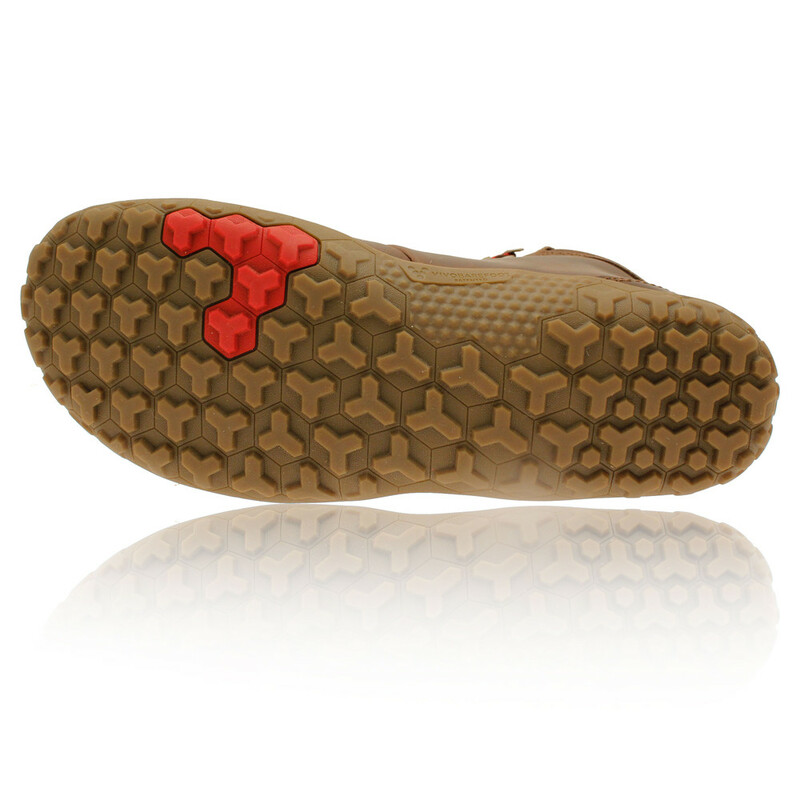 VivoBarefoot embrace environmental sustainability and use lifecycle analysis to look for efficiencies in design, materials selection, people and manufacturing processes to make more durable products that people love to wear. So these minimalist, foot shaped boots prevent my feet from getting tired or at least succeed in postponing that feeling of tiredness. But how does the technology actually work? The company designed the shoe starting with honoring the foot first. By giving the foot the space it needs, they created a more stable and wider design for maximum underfoot performance, with as little shoe as possible. This wider foot shaped approach allows your muscles and tendons to load, splay and recoil putting a natural spring in your step. As for the materials, these waterproof and winterproof boots are equiped with Pro 5 technology that brags an ultra-thin, patented sole that is 5 times more puncture resistant than an ordinary sole. As for its convenience, these boots basically extended my action radius, which, in my opinion, is the main reason for embracing new shoe technology.